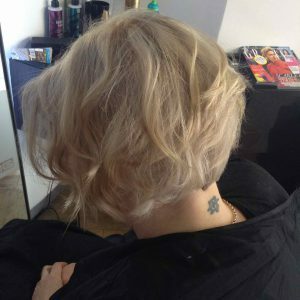 The team of growing Bristol hairdressers at our Baldwin Street hair salon have been providing more and more hair consultations around Prom Hair and Wedding Guest Hair ideas for clients recently, so we decided to blog about it. 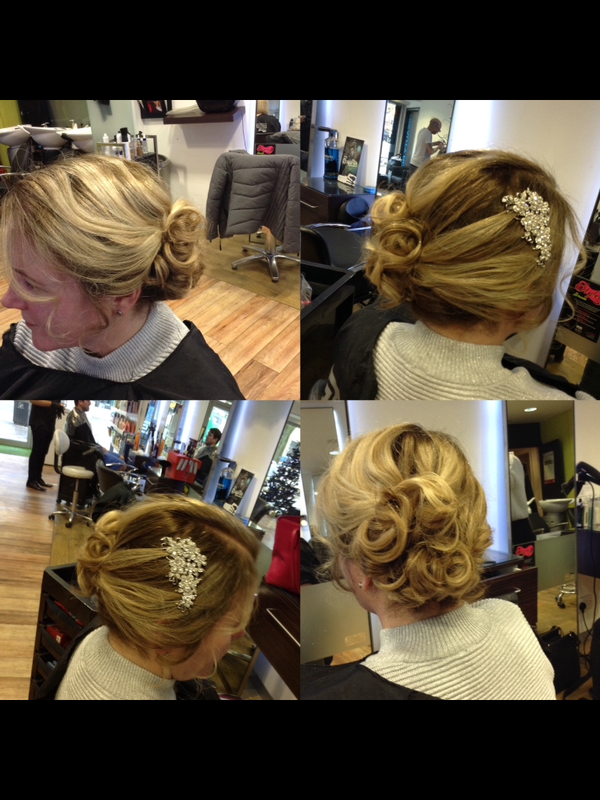 Prom Hair and Wedding Guest Hair can be a tricky subject for many clients, as there are so many different hairstyles to try for a Prom or Wedding event. This look is perfect for a Prom Hair look or for a wedding guest hair if wearing medium or long hair. It was created by French Plaiting either side of the hair and placing it into a bun at the back, leaving some hair out around the front to be loosely curled. 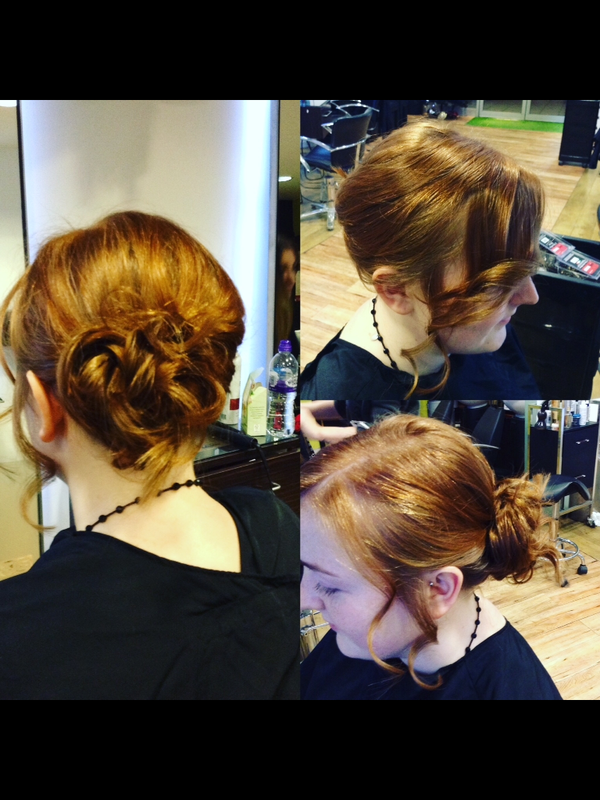 The Hair-Up Do example above is simple to create and takes about 15 minutes in the chair. Prices start from only £15 at our Bristol hair salon. The second example below is a Hair-Up Do for short to medium hair length, and will give a classic, confident look for Prom Hair or Wedding Guest Hair. 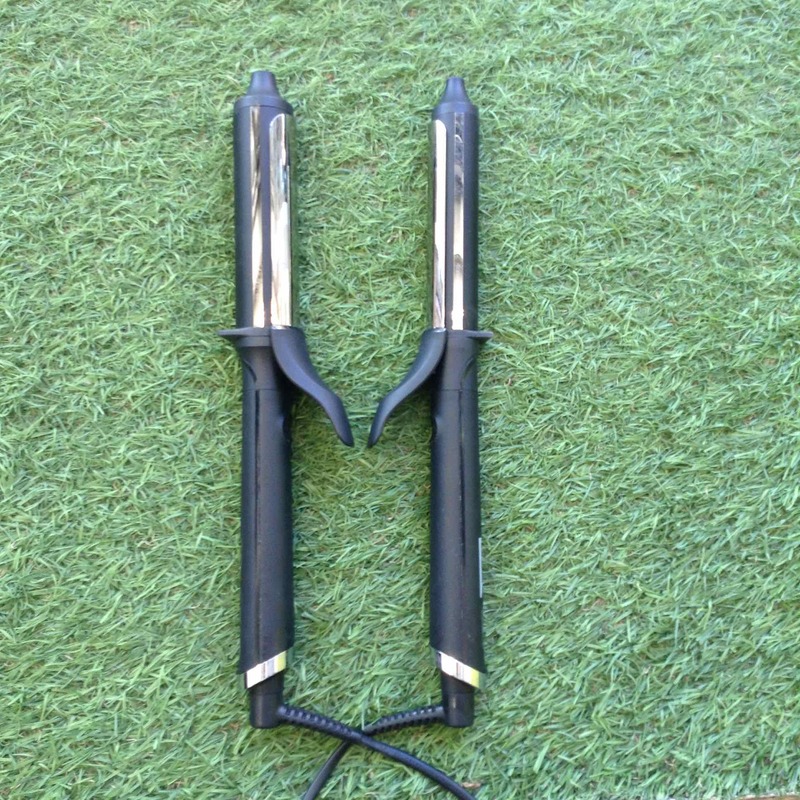 The look was created by curling the hair first, then pinning most of the curls up to one side at the back, whilst leaving some curls loose at the front. 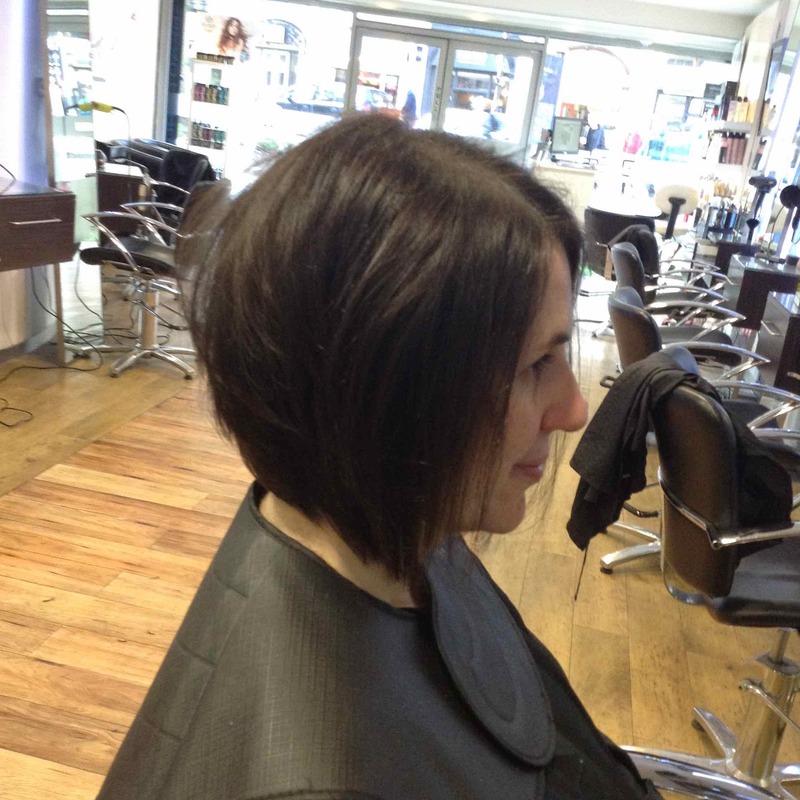 This simple but stylish look took around 30 minutes in the chair and costs £25-35. Our third Prom Hair and Wedding Guest Hair hairstyle idea below is one for long hair, and is a more complicated but stunning hairstyle to try. This hairstyle was delivered by pulling back the hair but leaving some around the front, then pinning all the hair up at the back to create a large messy bun. 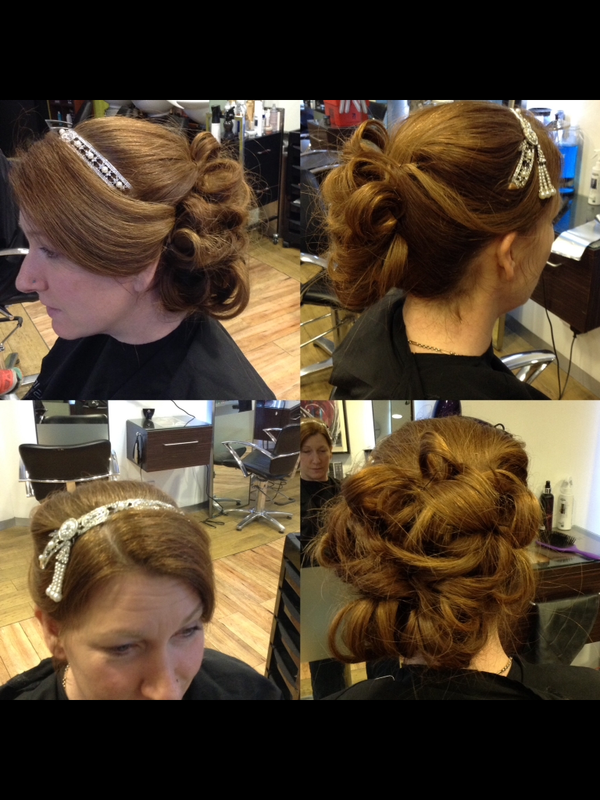 Our Prom Hair and Wedding Guest Hair hairstylists then added accessories to the front and pulled the front bits left out and back loosely, to ensure it was pinned off the client’s face. 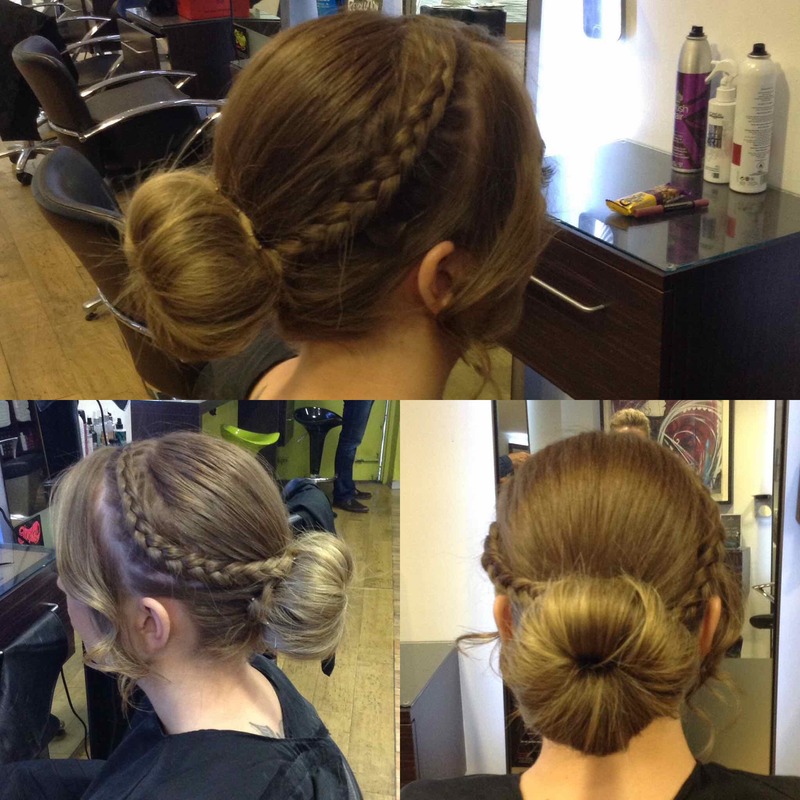 The Up-Do hairstyle took 30 minutes and costs between £25-35 in-salon. 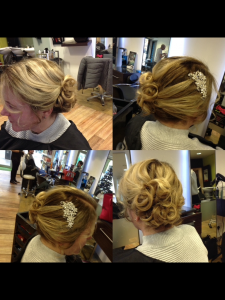 Our fourth example of Prom and Wedding Guest Hair styles to try this year is a great example of working with short hair. 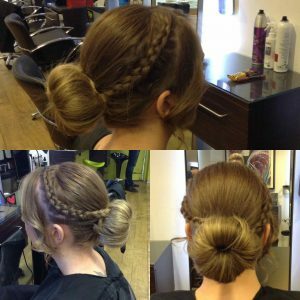 The look was created by putting the hair up at the back, slightly to the side, then pinning parts up to give a messy bun, leaving hair at the front to be curled loosely for a relaxed but stylish Hair-Up finish. The Up-Do took 15 minutes and only costs £15 in-salon with our team. 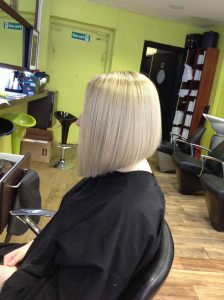 To see the full range of Prom Hair, Wedding Guest Hair, hair treatments, hairstyling services, British Hair products, hair toning, hair colouring, haircuts, creative cutting, gents hairdressing, hair care, hair styling equipment, haircuts, hair extensions and hairdressing we offer, please get in touch here. 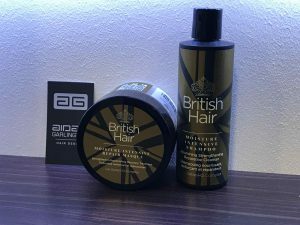 Our team of Baldwin Street hairdressers are excited this week, with the official launch of three new British Hair products, all of which are now available at our central Bristol hair studio for clients to buy and try at home. 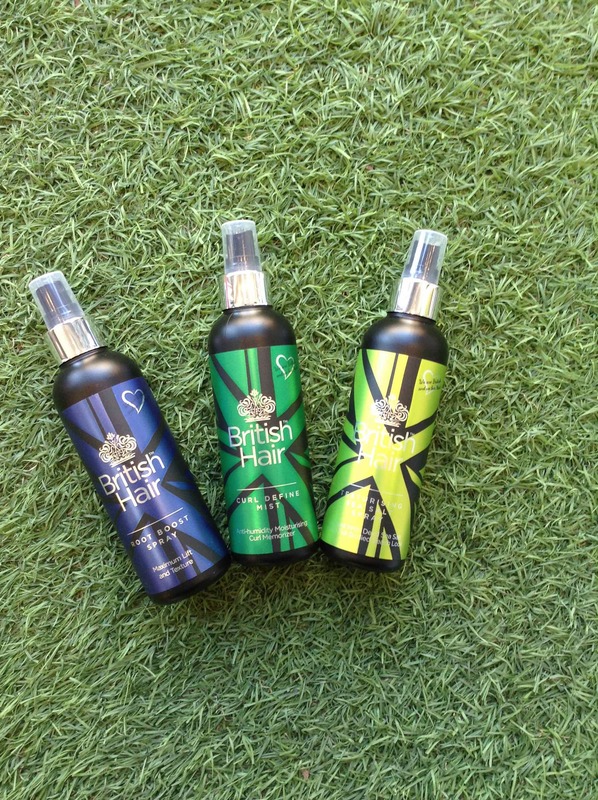 The three new styling and conditioning products from British Hair include Root Boost Spray, Curl Define Mist and Protein Conditioning Spray. Root Boost Spray provides maximum lift and texture to hair, helping to create volume and body, whilst also protecting and strengthening hair during the day. It gives hair bounce and vitality, adding shine, and leaving hair feeling smooth and full of life. 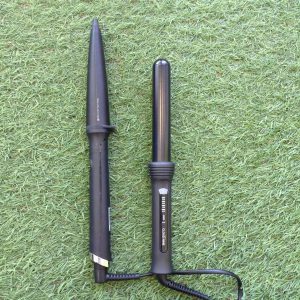 To apply, simply put on clean hair and distribute evenly through damp, towel-dried hair. 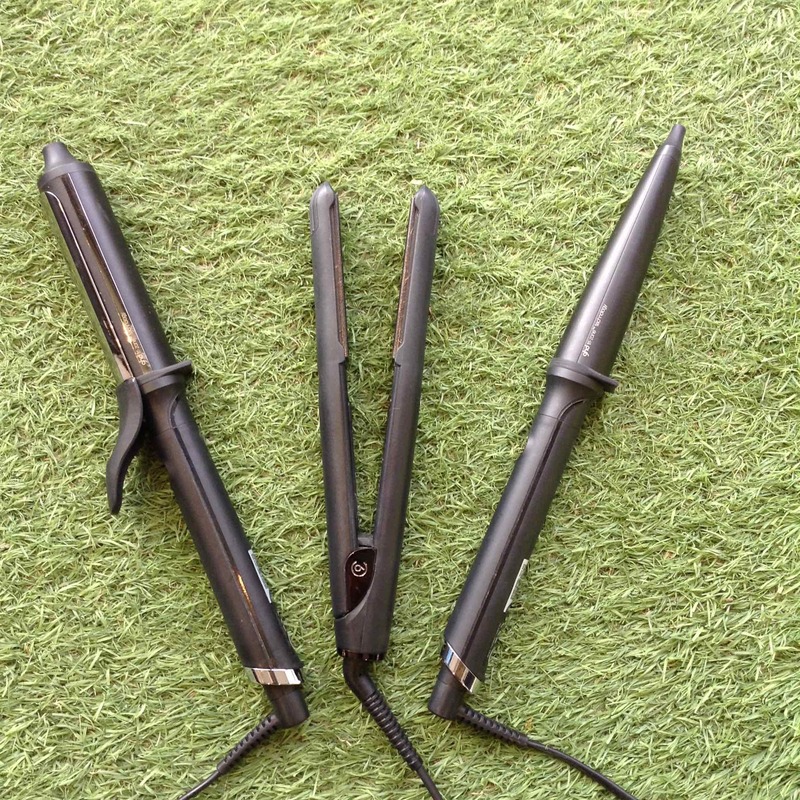 Blow dry then go – it’s that easy! 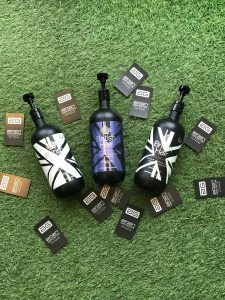 The second new hair product from British Hair is called Curl Define Mist, and is a superb conditioning and styling product now available for our clients. Described as an anti-humidity moisturizing curl memory product, it helps to memorize and enhance curls, moisturize hair, smooth hair cuticles, control hair frizz, resist humidity, provide a soft feel, and create a moveable hold. To apply Curl Define Mist, apply onto clean hair and blow-dry. 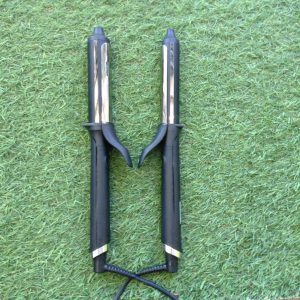 This product can also be used straight onto dry hair, making it a very flexible hair product. The third new hair product from British Hair to try at our central Bristol hair salon on Baldwin Street is Protein Conditioning Spray. Best described as a lightweight vitamin boost for hair, this product helps to promote healthy hair, hydrate hair, add shine, resist humidity, improve overall hair integrity and texture, as well as revitalizing hair. 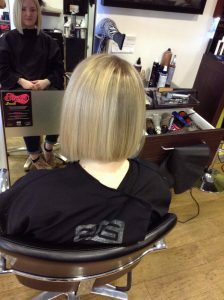 To apply Protein Conditioning Spray, apply evenly to clean damp, towel-dried hair then blow dry as normal. 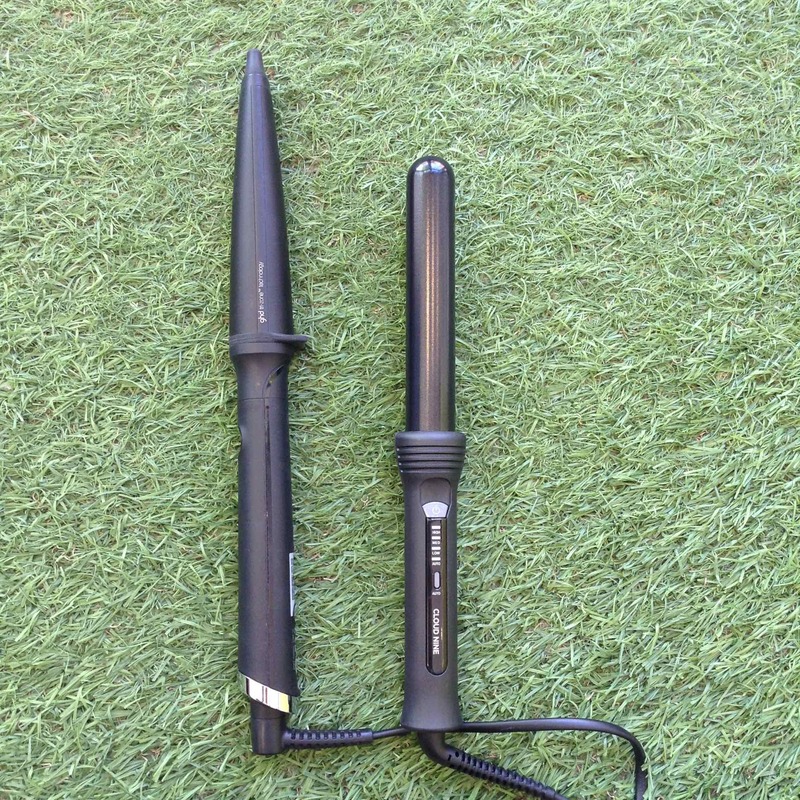 It can also be used on dry hair. 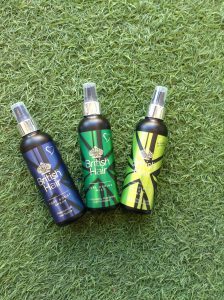 All these new British Hair products are available in-salon for only £9.95 each whilst stocks last. Ask our team of experienced hairstylists for more details. To see the full range of British Hair products, hair treatments, hairstyling services, British Hair products, hair toning, hair colouring, haircuts, creative cutting, gents hairdressing, hair care, hair styling equipment, haircuts, hair extensions and hairdressing we offer, please get in touch here. 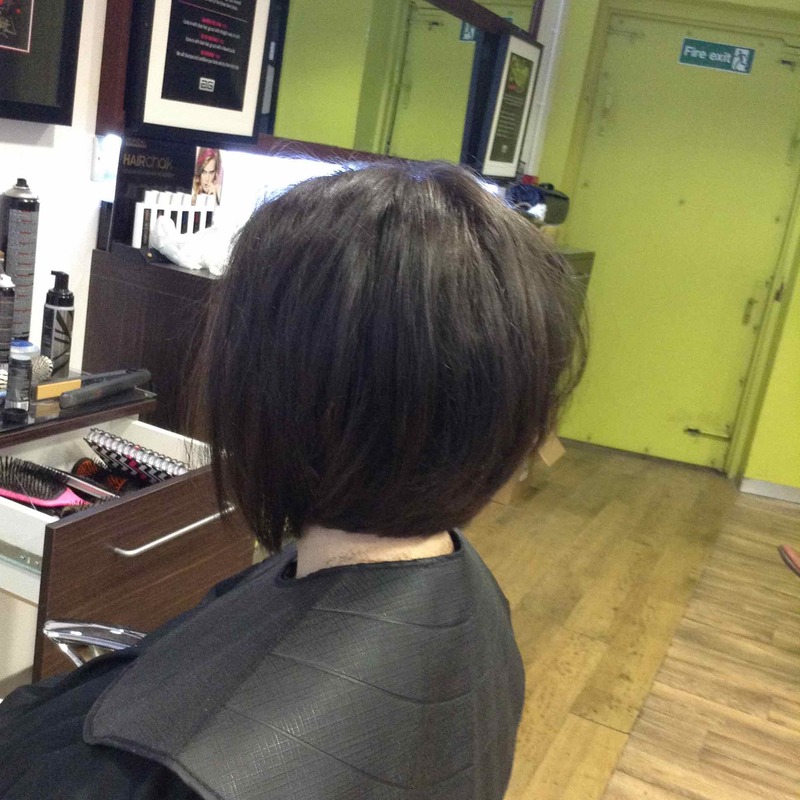 With Spring on the way, many clients visiting our central Bristol hair salon are concerned about the condition and integrity of their hair after severe Winter weather. 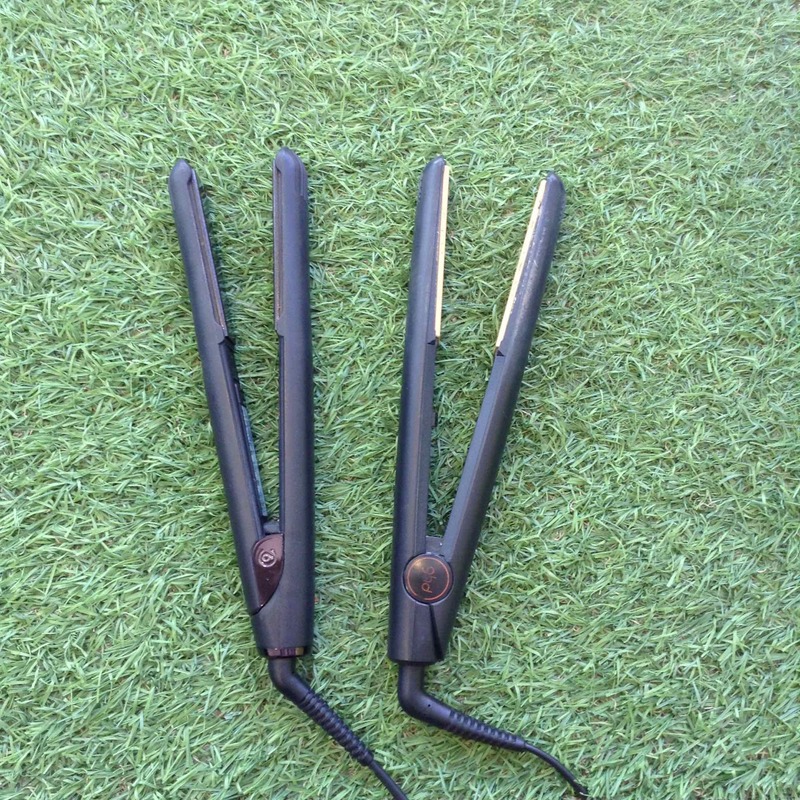 Many have lifeless, dried-out and damaged hair as a result. 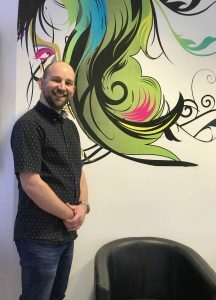 Our team of expert hair care experts on Baldwin street see it often during our full, free hair consultations at this time of year with clients. So, to help clients get their hair back in shape and looking good for the new season ahead, we’ve got another exclusive hair treatment offer on the Blog, using our favourite combination of hair care products from Serie Expert. Serie Expert from L’Oreal offers a range of prescriptive and specific hair care and hair treatments, ensuring that the client gets exactly what’s needed for their own hair care regime. Some of the hair treatment ranges include Colour Protect, Absolute Repair and Moisture Boost. The treatments focus on adding moisture and protein. Serie Expert hair care products offer a tailored approach to hair treatments, and our clients adore the look and feel of their hair after a Serie Expert treatment with our central Bristol hairdressing team. 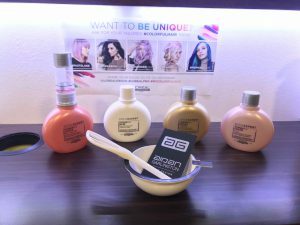 Any client booking in a cut and colour hairdressing service at our Baldwin Street hair studio will get a FREE Serie Expert hair treatment worth £10. 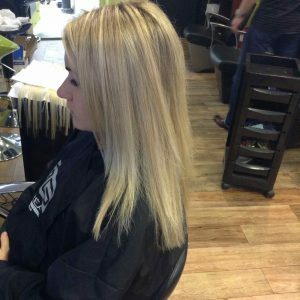 Simply mention this blog post when you book, and enjoy a fantastic hair treatment for Spring from our team of hair care experts in central Bristol. To find out more about Serie Expert hair products, please visit here. 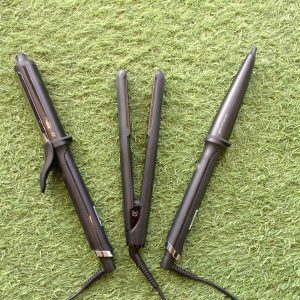 To see a previous blog post when we discussed first launching and using Serie Expert products at our Bristol hair salon, please visit here. To see the full range of hair treatments, hairstyling services, British Hair products, hair toning, hair colouring, haircuts, creative cutting, gents hairdressing, hair care, hair styling equipment, haircuts, hair extensions and hairdressing we offer, please get in touch here. With the New Year moving from Winter to Spring soon, and with many clients considering different looks, we’re pleased to announce a new hairdressing service at our Baldwin Street salon – partial hair extensions in central Bristol. 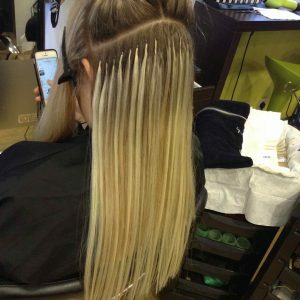 We’ve been one of the leading providers of Beauty Works hair extensions in Bristol for some time now, but recently clients have been asking for a different twist on our expert hair extensions, and we’re pleased to be able to help. 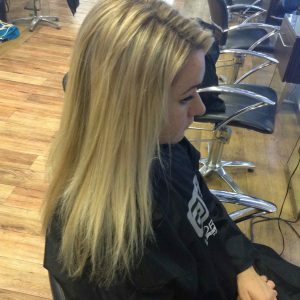 Our new partial hair extension service will be popular for clients looking to get a new look for 2018, as well as giving a low-maintenance, high-impact style. 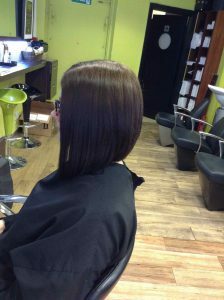 Clients looking to add more volume to their hair can get our partial hair extensions to the sides, giving them longer and thicker hair. 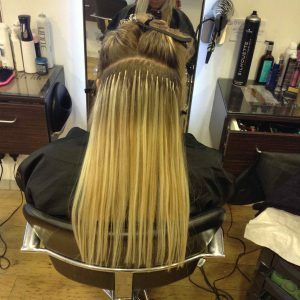 Our hair extension experts also provide a full and free consultation, so all clients considering this new hairdressing service will get a bespoke look. The price for partial hair extensions will vary on application with each client, but the service will be starting from just £100 for the application of up to 25 bonds, using Beauty Works hair extensions at our central Bristol hair studio. Depending on a client’s needs, it could be possible to thicken hair and add volume with partial hair extensions using just 25 bonds, but our hair extension stylists will be able to advise a client further on each individual consultation. Other benefits of partial hair extensions include a non-commitment to different hair colours by using hair extensions, adding volume in specific areas and increasing hair length to certain areas, such as strengthening up the baseline of a Bob haircut. We’ve got a special offer on our new partial hair extension service – simply mention this blog post when you make your booking, and you’ll get your first follow-up hair extension maintenance appointment worth £25 for free! To find out more about our hair extension services in central Bristol, read this blog post. 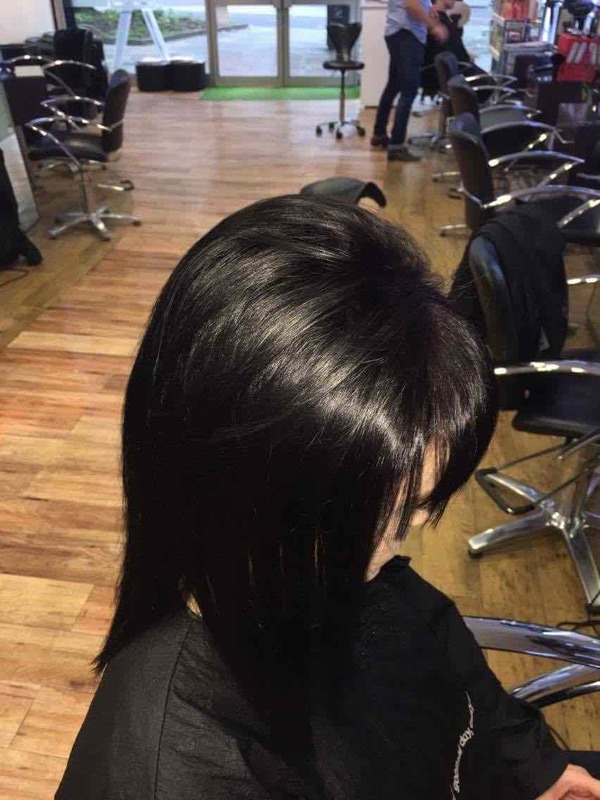 To see the full range of hair extensions, hairstyling services, British Hair products, hair treatments, hair toning, hair colouring, haircuts, creative cutting, gents hairdressing, hair care, hair styling equipment, haircuts, and hairdressing we offer, please get in touch here. As that special time of February is approaching, we’ve got fantastic hairdressing offers for Valentine’s Day from our central Bristol hair salon. 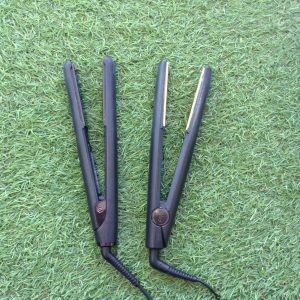 To celebrate the Month of Love in style, our Baldwin Street hairdressers have got great deals available whilst stocks last, but it’s first-come-first-served! We’ve got a gorgeous Pamper Package offer for clients, which can also be bought as a perfect Valentine’s Day gift for the special person in your life. We’re offering a BlowDry and SmartBond hair treatment for only £25 (usually £39.50), as well as adding a cut with selected stylists for an additional £18, making a total of £43. The usual price on these three hairdressing services would be £72.50. It’s also possible to buy a Gift Voucher for the Pamper Package above and give it to your Valentine. 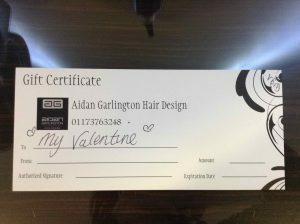 The Gift Voucher is redeemable for up to six months, and is available with selected stylists at our central Bristol hair studio. We’re also offering Luxury Hampers at discounted prices, making them the perfect hair product gifts for Valentine’s Day from our Baldwin Street salon. Including Moisture Shampoo, Moisture Masque and Lux Oil. Costs £25 but usually retails at over £35. L’Oreal Serioxyl Hair Serum, Clarifying Shampoo, Modifying Conditioner and Densifying Mousse. Costs £45 but usually retails at over £62. 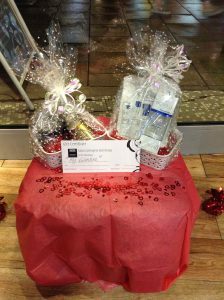 Both hampers are wrapped up and ready to give as gorgeous gifts on 14th February, whilst stocks last at our central Bristol hair studio. We also offer a range of associated hairdressing services to make sure you look your best on the evening of Valentine’s Day – including Hair-Ups for only £15 at our Express Colour Bar. No need to book and done within 15 minutes. If you’re thinking about going red or copper to celebrate Valentine’s Day in style and wow your special date, we offer red and copper hair colouring services from just £36.50 – discounts only available on full head colour only. To find out more about our various Valentine’s Day gifts and offers, please get in touch. Our experienced stylists will help you pick the perfect Valentine’s gift. To see the full range of hairstyling services, British Hair products, hair treatments, hair toning, hair colouring, haircuts, creative cutting, gents hairdressing, hair care, hair styling equipment, haircuts, hairdressing, and hair extensions we offer, please get in touch here.